FFWPU Bulgaria, By Edina Zsolcsak-Dimitrova, March 14-15, 2015: The third Sunday of March was the official date for the General Assembly of FFWPU Bulgaria. And in relation to that, we held a 2-day national meeting in Sofia on 14-15 March 2015. We used the opportunity for the evaluation of the past year, discussing plans and celebrating Heavenly Parent’s Day together. Saturday morning we made a big cleaning in the Embassy of Peace. Sisters ordered and washed very thoroughly the offices and the main hall on the first floor, and brothers cleaned up the basement after last year’s renovation, allowing it for the Second Generation to fully enjoy the ownership over the new room that was created for them. In the afternoon we listened to reports from the CIG Leaders Assembly in Korea, about last years activities of the Bulgarian Unification Movement, WFWP and Second Generation Department. 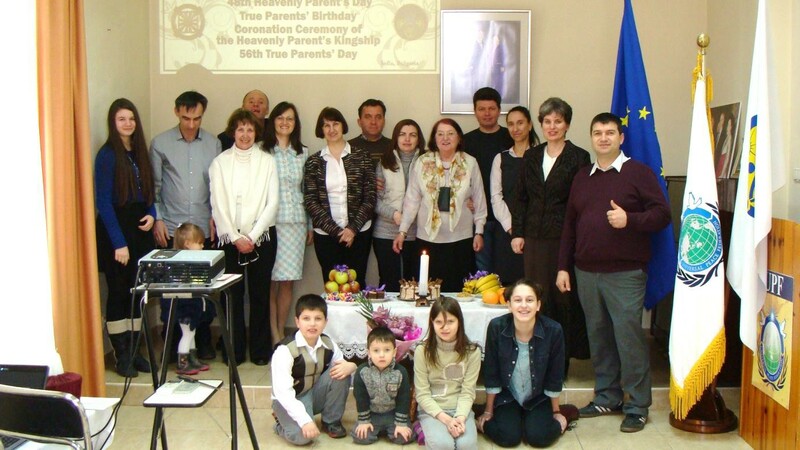 On Sunday we celebrated the 48th Heavenly Parents’ Day and the other holidays connected to it and made a small celebration to inherit the new candle that True Mother prepared for the victory of Vision 2020. Before lunch, we held the annual General Assembly of FFWPU Bulgaria, and after lunch, we improvised a short family afternoon with the active participation of the youngest generation.